Dubai: With more off-plan launches emerging from the pipeline, some of Dubai’s leading developers are insisting on taking post-dated cheques from buyers as cover against any future payment defaults. More developers could follow suit with similar demands. From a buyer’s perspective, this would be another burden they have to bear, given that bounced cheques constitute a civil offence here. But market sources insist that not all developers with off-plan projects are doing so. “A small or mid-sized developer wishing to clear off-plan stock at the earliest is unlikely to insist on the cheques,” said Chandrakant Whabi, CEO of Acrohouse Properties. “The launches that have happened to date in Dubai have typically come in from the master-developers and a good share of those who bought in were paying cash in full. Meanwhile, transaction activity in Dubai has been slackening, market sources say. The time required to seal a deal — between a buyer expressing interest in a property to going through the fund sourcing process and then the actual buy — has started to lengthen. Also, the number of potential enquiries are drying up, indications that the higher mortgage caps are starting to bite. 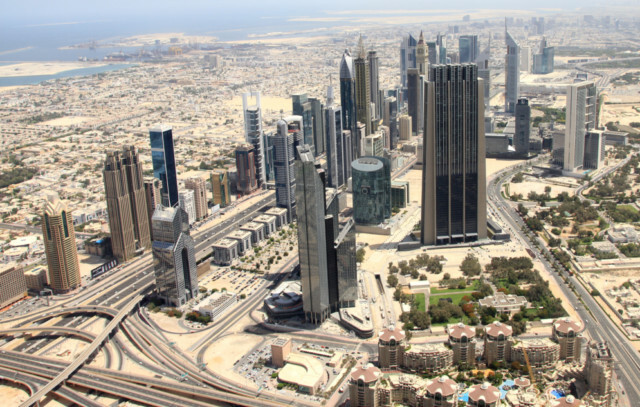 Last year, the second and third quarters recorded fairly high transactional activity in Dubai and paving the way for a boom phase in the fourth quarter, which coincided with Dubai’s confirmation as the host city for Expo 2020. But December saw the introduction of the tougher mortgage cap requirement and the situation e for end-users have not been the same. “It’s the relative absence of end-users that explains the slow down,” said Robin Teh, country manager at Chesterton International. “With the 25 per cent down payment and the charges for property registration, mortgage approvals, etc., a typical end-user has to pay up more than 30 per cent of a property’s value to sign up.